Meet Cody, our new foster dog! You are here: Home / Fostering Rescue Dogs / Meet Cody, our new foster dog! 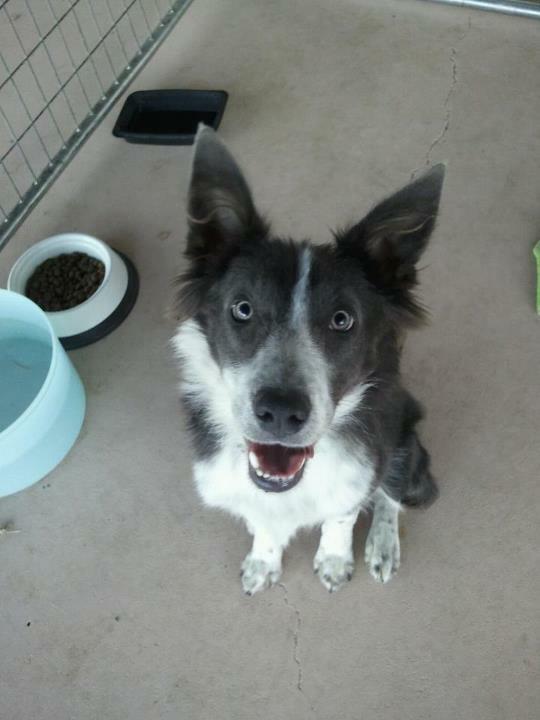 The other day, we were notified about a blue and white Border Collie at the Stanislaus County Animal Shelter in Modesto, CA. He was scheduled to be euthanized on 9/1/12, but due to the Labor Day holiday, fortunately he escaped death. We picked him up on Thursday and took him home and he spent two days in our kennel before we decided that he could come in and live with our pack. He is such a sweet, friendly dog and very active! We don’t think he is over a year old, but will have to wait and see when he goes to the vet later this week. Cody won’t be available for adoption until next week, as he has not yet bet neutered nor had his shots and vet check up. He seems very healthy though and we’ve already wormed and treated him for fleas. « Bonny has been adopted! It’s so sad that such innocent and adorable dogs lose their lives for no reason. Way to escape death Cody.Good luck in finding a home.